The BeagleBone Breakout Cape provides accessibility to the various BeagleBone components during troubleshooting. If you are using a BeagleBone, there is a good chance your BeagleBone is stacked with one or more capes; If this happens, signals and testpoints on the topside of the BeagleBone will not be accessible. 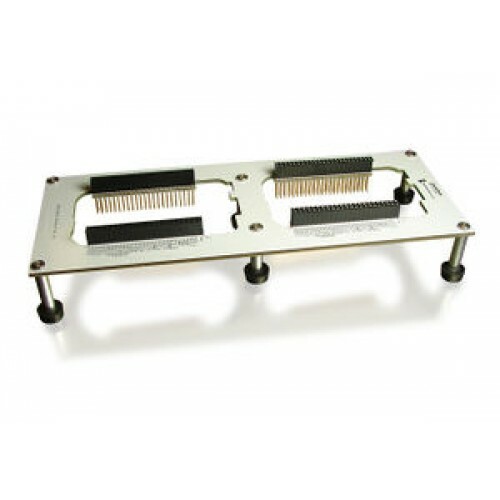 The BeagleBone Breakout Cape solves this problem by separating a BeagleBone and its cape on two different sets of connectors. Each BeagleBone Breakout Cape is made by thick PCB and equipped with six standoffs for stress endurance and stability.